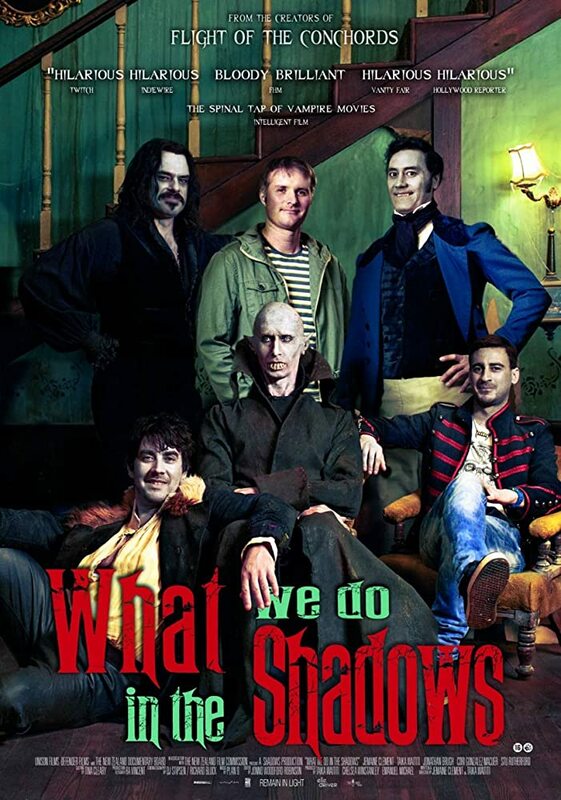 What We Do In The Shadows is a mocumentary about four vampires who live in a “flatting situation” in New Zealand, and it’s quite possibly the best vampire film in existence. It’s a comedy that mostly centres around friendship and the various bizarre issues experienced through life as a vampire. Each of the main characters is ingeniously based on familiar ‘vampire types’ in popular culture, and are styled and dressed according to the time period in which they were transformed. We have Petyr, an 8000 year-old ‘Nosferatu’ type, resembling Count Orlok. Viago is an 18th century dandy, similar to Louis and Lestat from Interview with the Vampire. Deacon was a Nazi vampire. Vladislav is based on Dracula (the Francis Ford Coppola version). Then we have Nick, who is turned into a vampire during ‘filming’, and is the self-professed ‘Twilight type’. The story centres on the group in their everyday life and leads up to ‘The Unholy Masquerade’, an exclusive supernatural ball. Along the way, we meet side characters such as other vampires, werewolves (“not swear wolves!”), familiars, victims, and Stu, Nick’s human friend. This movie has so many merits (the performances, costume design, special effects, and set design to name but a few), but my personal favourite thing about it is how masterful the world building is. Considering the mocumentary format, it could be forgiven and even expected if the elements of the supernatural world were introduced to us through exposition. The film is comprised of interviews with the characters, which give us information about their lives, and ‘fly on the wall’ filming that just captures them as they go about their activities. However, the introduction of special elements tends to be more subtle than just force-feeding things into the dialogue. Additional characters, such as the werewolves, are fed into the plot so seamlessly that the surprises keep coming and it’s a delight to watch the world unfold and expand as we go along. Prior to meeting the werewolves when the vampire group happen to walk past them in the street, we aren’t even aware that werewolves exist. Suddenly, we aren’t just viewing the regular world as though vampires exist within it because we realise that there’s a whole supernatural world that co-exists with the regular world, and the possibilities of what could happen and who we might meet are suddenly endless. We get glimpses of the wider, increasingly hilarious, world of each of the main characters, mostly through side characters. For example, Deacon has a ‘familiar’ named Jackie. He has promised her eternal life in exchange for her services. As the film progresses, we witness more and more snippets of Jackie doing mundane and unreasonable tasks, like hosing down a blood-soaked yard and ironing Deacon’s frilly shirts. It becomes clear to us as we watch her undergo what is essentially slave labour that Deacon has no intention of granting her eternal life, because he doesn’t like to do his own chores (his laziness is established in the opening scenes in which there’s an argument about the fact he hasn’t done the dishes in five years). With each new character, we are introduced to new storyline threads, several of which could be carried into their own sequels and spin-offs, and probably successfully too. In a scene in which the housemates are ‘out on the town’, we meet several other vampires, including children, who are out hunting. This idea that vampires are just on the streets eating people is introduced so casually that for a second, you forget that you shouldn’t be in agreement with the vampires and their murderous tendencies, yet the main protagonists are somehow so likeable that you’re just on board with it. The characters are so rich and funny in this film that you’re constantly experiencing the same situations through different perspectives. Viago is our main protagonist, so we mostly experience the basic vampire world through him. However, Nick becoming a vampire gives us an insight into the human-vampire transition, and life as a new vampire. Once again, our understandings of the rules of the world are expanded. With the addition of Stu, the human, who befriends the housemates, we start seeing things for how odd they actually are. Questions that you might have never even thought to ask are answered (questions such as ‘what happens if a vampire eats chips?’), with hilarious results. Every new inclusion makes the world deeper, richer, and more charming. Another thing that this film excels at is incorporating traditional vampire lore and things we know of the supernatural through popular culture, and using these things for comedy. Twisting, subverting, and utilising various details of vampirism, as the audience would know it, is the source of numerous intelligent and original jokes. Those who have seen the film will remember such moments as the ‘bat fight’, and household chores like vacuuming being performed whilst floating. And who could forget the ‘ghost cup’? Don’t even get me started on Vladislav’s cat transformation. Despite being a film that will make you laugh every other minute, it also has a surprising amount of heart. We care about these characters very quickly, so when there’s a problem we genuinely worry for them. Despite several of them actually being rather unlikeable at times, we still want them to win because they’re all relatable. Also, they care about each other, so even if you only champion one of them, whatever loss the group feels, you feel. There are side plots that add depth in the most unlikely ways, such as Viago’s long-lost, 96 year-old love interest. Will they ever be together? Deacon starts off hating Nick because he’s jealous of Nick taking over his role as the newest and youngest vampire of the group, but by the end a terrible experience opens Deacon up to their friendship. Vladislav has a nemesis, ‘The Beast’. Who is this ‘beast’, and why do they fight? Who will win? Will Jackie ever become a vampire? 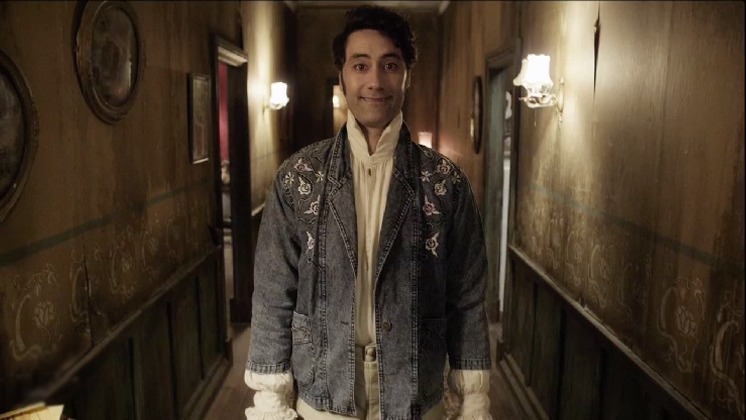 Running at 85 minutes, What We Do In The Shadows aims to keep you for a good time, not a long time, much like a Tinder date. It’s original, funny, and genuinely heart-warming at times, and littered with references and jokes (unlike my Tinder dates). I give it five out of five fangs. 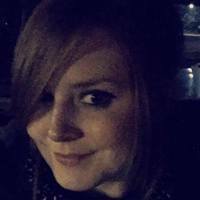 Kayleigh Marie Edwards is a horror writer from South Wales and lives in a town where everyone says ‘defiantly’ when they actually mean ‘definitely’, and despite the current trend, no one knows what an avocado is. She spends her life in a constant state of being perplexed by arguments about which Pennywise was better, and what kind of people like the Star Wars prequels. She wishes she was as smart as Sherlock but she just isn’t, and that annoys her because she enjoys feeling superior to people (see the above avocado comment). She also likes bagels. This entry was posted on October 5, 2018 by Thomas S Flowers. 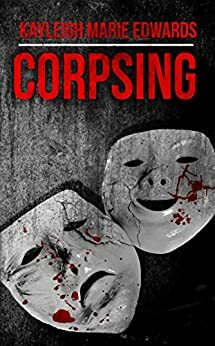 It was filed under Horror, Movies, Reviews and was tagged with blogging, fiction, film, film reviews, Fright Fest, Fright Fest 2018, guest contributor, horror movies, Kayleigh Marie Edwards, Movies, reads, Reviews, vampires. Gosh this movie is great. It’s on my list for my marathon this year. Did you hear there’s going to be a sequel featuring the werewolves. There is also a spin off tv show coming soon.